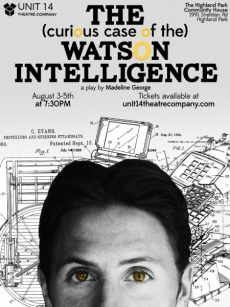 The (curious case of the) Watson Intelligence is an American play written by Madeleine George, directed by Martin Gold, performed by the Unit 14 Theatre Company at The Highland Park Community House (Highland Park, IL, USA) from 3 to 5 august 2016 (3 performances), starring Kyle Brincks as Dr. Watson. 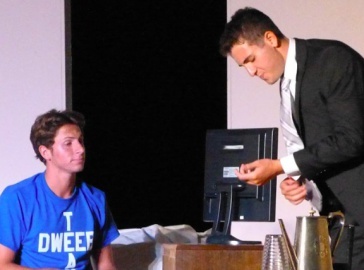 Kyle Brincks played 4 Watsons (Dr. John H. Watson dressed as Sherlock Holmes ; IBM's computer named Watson ; Thomas A. Watson, Alexander G. Bell's assistant ; and Watson, an IT guy). 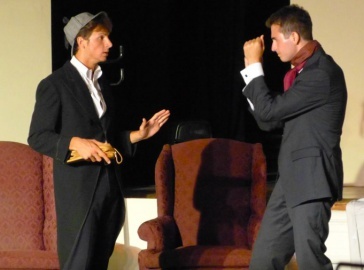 There is no Sherlock Holmes character in the play.